S & S Cleaners in Gainesville, FL is a full service Dry Cleaner. 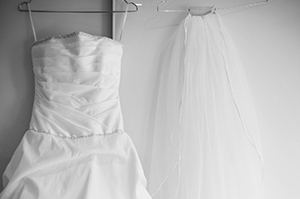 S & S Cleaners is a full service Dry Cleaner specializing in wedding preservation, shirt laundry, suit cleaning, drapery cleaning, and comforters. For years, we have served customers in Gainesville, FL with quality dry cleaning and laundry services. Our friendly staff provides personal attention and we make sure everything always gets done on time. Throughout the years, S & S Cleaners has earned a reputation for providing exceptional customer service and reasonable prices which in turn has given us tons of repeat customers. S & S offers a 5% discount on all prepaid orders over $20.00. Just ask for the discount at drop off and the staff will be glad to process and apply your instant discount. We offer same day and next day service on most items. If you have any questions or need further information about our services, please call.